Name: Principally Sugar Maple (Acer saccharum ), Black Maple (A. nigrum), Red Maple (A. rubrum) and Silver Maple (A. saccharinum). Sub Name: Sugar Maple and Black Maple are grouped, in respect of the properties of their timber, under the name Hard Maple. Red and Silver Maple are grouped as Soft Maple. Trade Name: Examples of highly figured wood can carry descriptions such as quilted, Ripple or Reed. 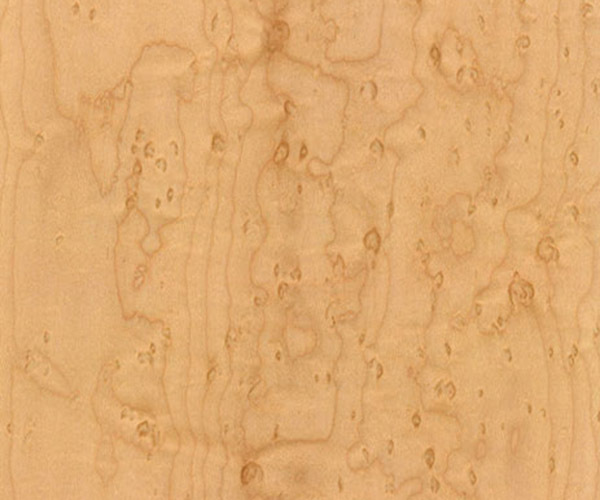 The name Birds Eye Maple is given to wood that displays high densities of pip knots which are caused by insect attack. Origin: The Hard Maples occur widely in eastern Canada and the south eastern USA. The Soft Maples come from wider afield, ranging further south and down the Pacific coast. 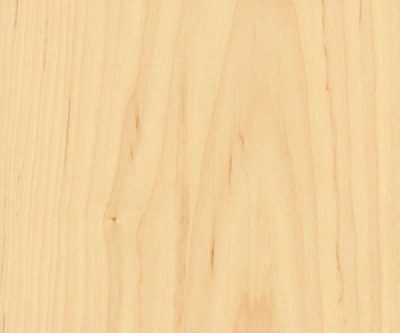 Appearance: Hard Maple and Soft Maple are similar in general appearance, though Soft Maple does not have the degree of lustre that is exhibited in Hard Maple. The colour of the heartwood is a warm, light tan, which can be darker towards the heart. Sapwood is paler. Texture is fine. 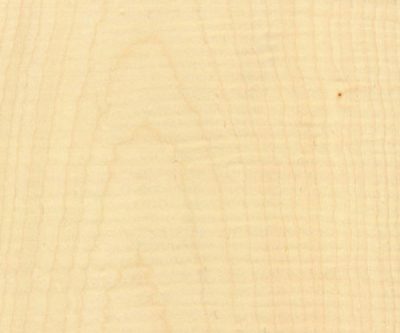 The growth rings display a fine, dark margin resulting in attractive figure. This figure is enhanced in wood that has wavy or curly grain. Mechanical: Hard Maple has a density of 720 kg/m³. It is very hard and tough while Soft Maple averages 560 kg/m³ and is softer and easier to work. Both types are used in much the same way unless strength is the prime consideration. The timber is regarded as non-durable in exterior conditions. Availability: The solid material is available as square-edged boards 25-100mm thick, up to 300mm wide and 3m in length. Veneer is also widely available plain and in a variety of exotic forms. 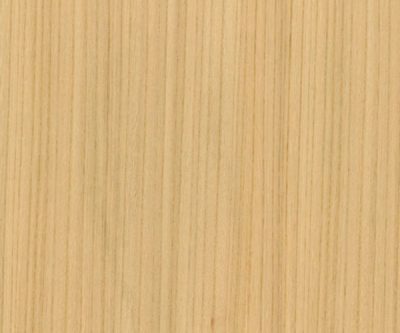 Maple veneer is available from Shadbolt with Forest Stewardship Council (FSC) certification. Timber Cuts: Maple is durable in interior conditions and is very suitable for interior joinery. It generally makes a reasonable match to the veneer form but the solid often includes darker heartwood and some dark stains that are usually not present to a great extent in the veneer. Maple has reasonable dimensional stability once fully dried. Veneer Cuts: Maple veneer is usually produced crown cut from selected logs in which dark heartwood and marks are limited. As logs are comparatively modest in girth pre-planning is advised if the intention is to achieve a degree of matching within areas of a large job. Some marks are usually present and should be considered as a feature. 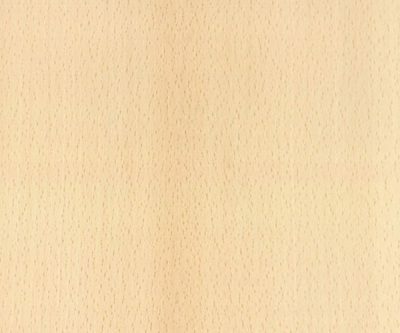 The veneer of Birds Eye Maple is rotary cut and this should be viewed to establish the potential for matching offered by the stock. Properties: Hard Maple is not the easiest timber to work. If irregular grain is present it can cause problems in machining. Generally a good finish can be obtained and the wood takes stain and polish well. Seasoning: The timber is regarded as one which is slow to season but which dries without undue difficulty.